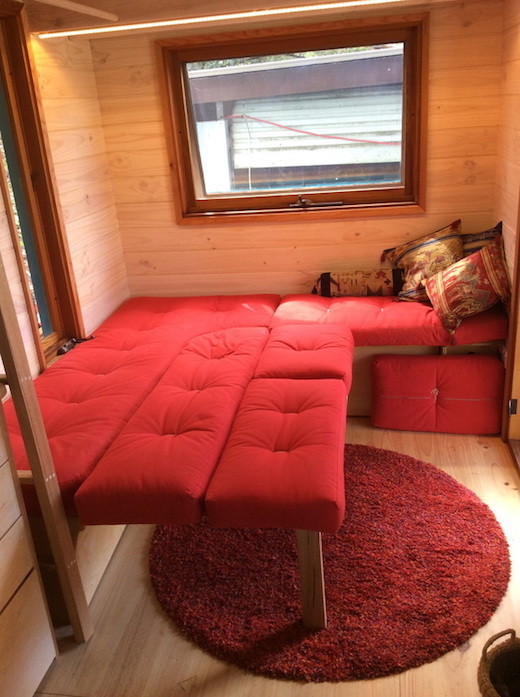 Is it possible to raise a family in a tiny home? A lot of people would answer no right away, yet there are some who are making it work. 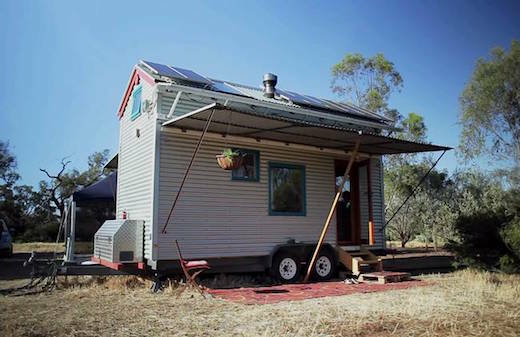 Australian couple Fred and Shannon Schultz are living with their small daughter in a tiny home that measures only 200 square feet. 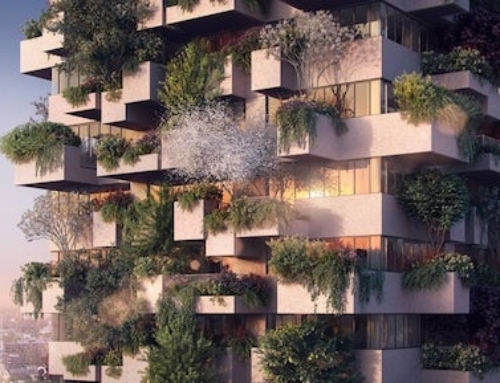 And they are making it work, mainly with the help of a number of clever space saving techniques. 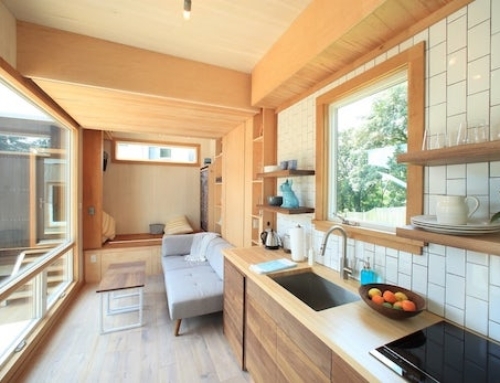 Fred works as a tiny home designer, builder and consultant, and he hand built his family’s home. 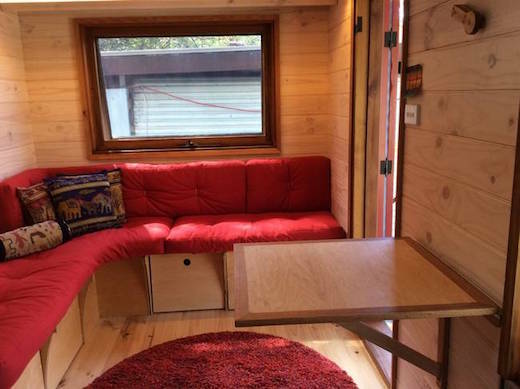 The living area is located right inside the front door and features an L-shaped seating area, which can be transformed into a guest bed at need. Under it is a spacious storage area. 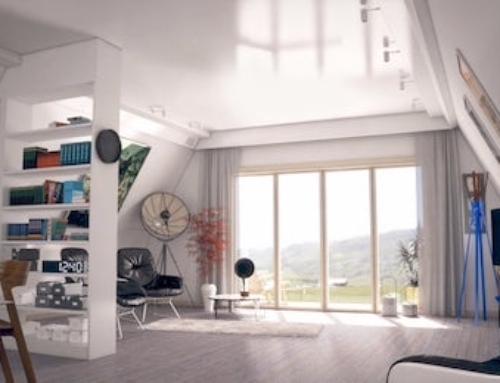 This section of the home also acts as the dining area, which involves pulling down a dining table stored above it. The process takes just a few minutes. 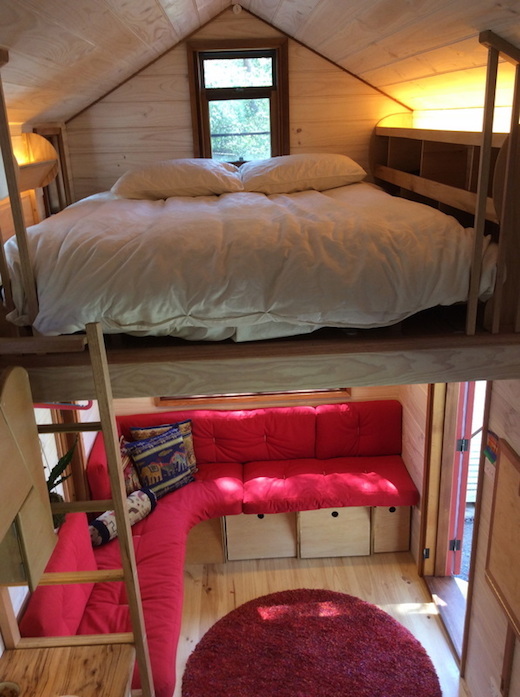 Above this seating area is the lofted master bedroom, which is accessible via a ladder. This area is only big enough for a bed. 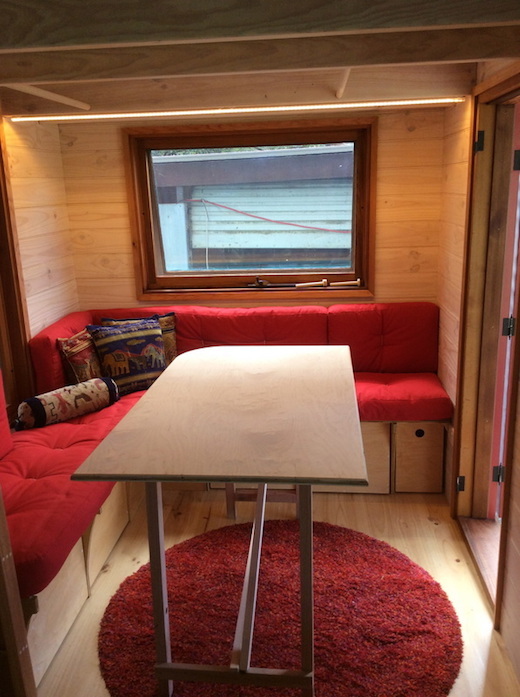 The kitchen is located next to the seating area and features a fold-up breakfast table. 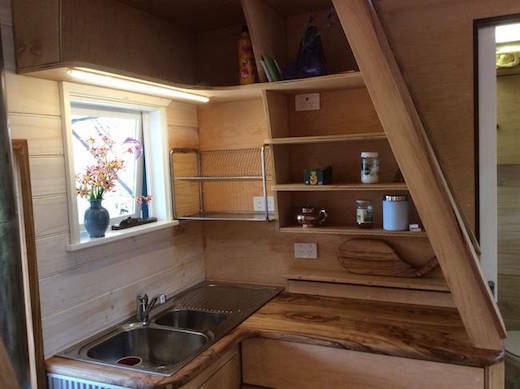 It feels like a full-sized kitchen thanks to a number of space saving techniques, such as a wall-mounted dish-drainer, while it also features an alcohol-burning stove and ample counter space. 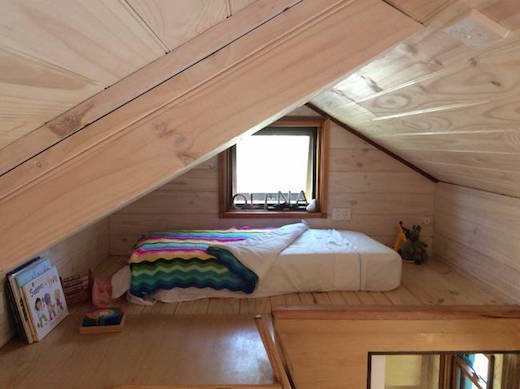 The daughter’s bedroom is located in a loft above the kitchen and is also accessible via a ladder. The bathroom, located off the kitchen is fitted with a Japanese-style tub, sink and toilet. 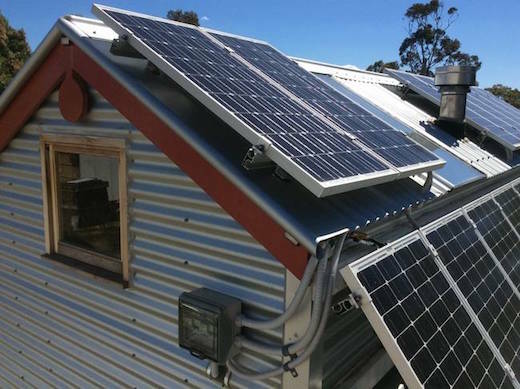 The home also boasts of a number of sustainable and off-grid features. 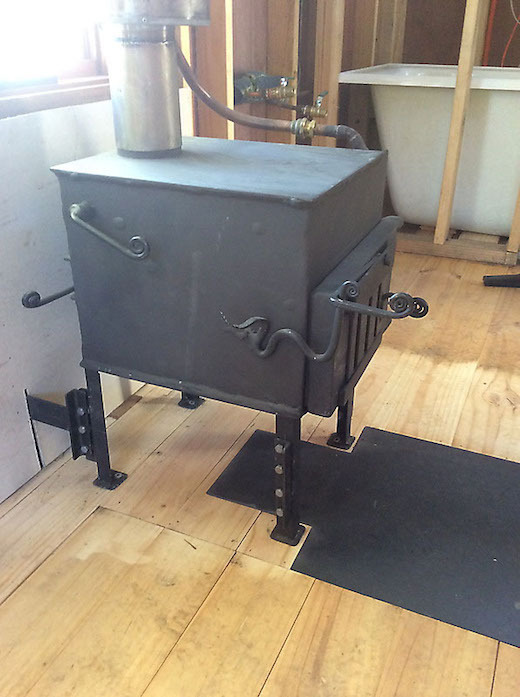 It features a unique woodstove, which Fred built himself. 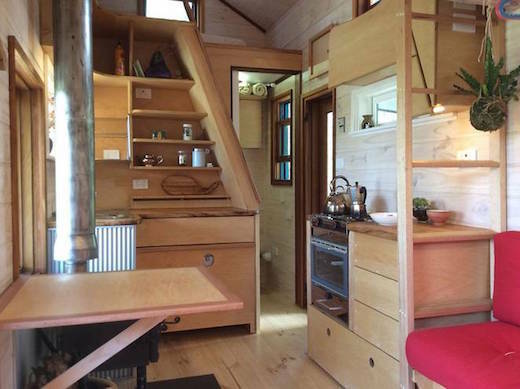 The stove actually forms one part of a gravity-fed, wood-fired, passive solar water heating system. There is also a solar power array on the roof. 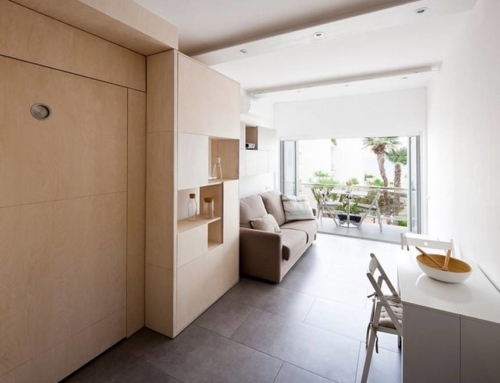 The home is fitted with large windows throughout, which let in plenty of natural daylight, and offer great ventilation. 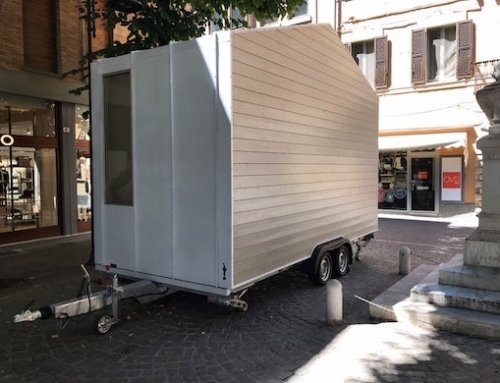 All told, this tiny home only cost around $31,000 to build.